I removed & changed the bend-pipe. I have installed the free flow silencer but there is no original thump. Ans: About 80 % of Enfield buyers do so because they are in love with the sound. However as exhaust emissions get tighter by the day, so do the noise limitations. In order to achieve both and do so comfortably, the modern Enfield has an engine of unit construction (engine & gearbox in one unit). Right from the design itself, it is supposed to provide more refinement (meaning less noise and vibration). So if the engine itself produces less noise, how can you get the old thump just by changing the silencer ? 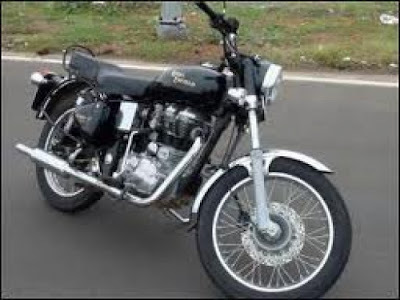 I have a bullet 350 standard 2005 witch ran more than 70k witch is giving too much of murmers from enjine. What shall i do for it. Power is less as well. Dear debraj appreciate ur inputs. So r u using indore short bottle with baffles?and if yes wats t mileage u r getting.was there any drop in mileage? One actually to ride your bull to rectify the issue..
Hello, just wanted to let you know that this blog post is practical. I enjoyed this article. Carry on posting, many thanks! Yeah that is true that New AVL/UCE engines miss that Legent Thump, but there are some customized solution avilable in market which can Help you to get the Thump which can satisfy you..
hey guys any 1 can help me. i hve C 350cc its 4months old. d prob m facin is sm time aftr I stat up d engine I gt a loud noise from the engine as though like hitting a rod from engine n it turns off oly if I start sm time I gt this kind of sound frm d engine. can anyone tell me wer do u get t short bottle silencer in bangalore???? Hi dear friends i have a bullet electra 350 new model,I have replaced the original silencer(lengthy one)with a shot bottle type.Does it make any problems for the engine like overheating??? ?